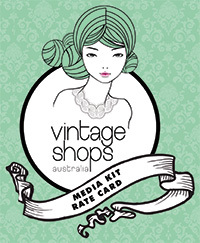 Vintage Shops Australia (VSA) has helped boost our exposure and sales by at least 75%. Especially with the lead up to Christmas 2012, VSA has been very accommodating with our advertising and marketing needs. We found VSA to be very supportive, helpful and very quick to respond to our inquiries. With affordable fees for advertising and social media exposure for marketing, as well as providing one-on-one interaction (we were so pleased VSA came to visit us in person), VSA is a great tool for all businesses, great and small, specialising in vintage. VSA has also assisted us, through social media, to network and build rapport with fellow vintage enthusiasts with other vintage businesses Australia-wide.From our experience, VSA is fuelled by their unique passion for vintage, quality and sustainability by creating exposure for Australian businesses.If you own a business in retail specialise a service with a vintage touch, we highly recommend Vintage Shops Australia!